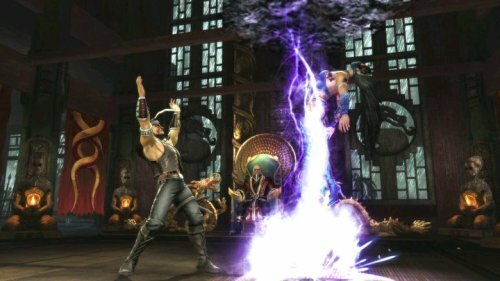 Mortal Kombat 9, is a reboot of one of the fathers of the fighting game genre, it manages to combine all of the different elements of previous MK games to create a game which would satisfy just about every MK fan out there. If you like killing or getting killed in gruesome but yet hilarious ways. MK has got you covered. If you're interested in an approachable, well-designed fighting game that offers a variety of wild moves that are easy to execute but are tougher to work into timing-based combos e.g Soul Calibur and Tekken, this game has you totally covered. 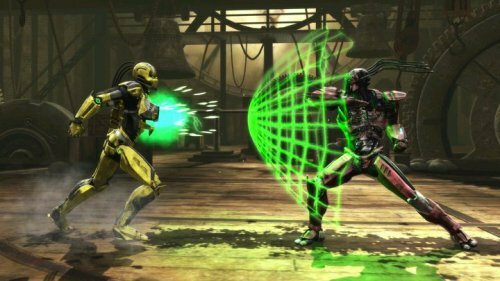 Even those who love the lore of MK would be thoroughly satisfied, I know how weird it is to talk about the story in a fighting game but this game takes you through the early parts of the MK lore. before it got too crazy and littered with more needless characters (Mo-Cap guy) and realms than you could shake a spinal cord at. The fighting system is actually NOTHING like I expected, as an avid fighting game player myself I actually found difficulty doing some of the special moves as the inputs are more “American” rather than the standard "Japanese" style. Let me give you an example, in Street Fighter a standard Hadoken command is displayed as pushing down>down-forward>forward followed by a punch. While to fire Johnny Cage’s fireball, the command displayed is only down>forward followed by a punch, I first interpreted it as a quarter circle forward movement and it did nothing. The system really does take time to get used to but once you are able to confidently pull off special moves the depth of the system becomes apparent. Uppercuts and sweeps found in the original trilogy make a return here. You can start combos with jump-in punches, juggle them up into the air, and do what you can to keep them there - just like the old days. It's a thrilling game with a lot of flashy moves and combos, many of which can easily amaze new players. The combos are easy to perform, and once you wrap your mind around how to juggle someone into the air and keeping them there, the mind games open up. Carefully considering of when to use the meter burning moves and timing that 6 frame link just right, can be a issue of life and death. The story mode in this game is one of the best executed in the genre. It is a chapter based tale that takes you from 1 playable character to the next experiencing the events of the previous MK games, this actually allows the developers to do some interesting changes to the fate of certain characters. By the end, some characters are left in a completely different state than they were in the "normal" timeline, which is pretty cool. But the best part about the story is the way it's conveyed. The game seamlessly weaves from fight to cutscene and back again, loading the battles in the background as you watch the story scenes unfold. Each match even ends with a custom win quote specific to that situation. Never have I seen 1 loading screen during my playthrough of the story mode. Visually, the game is a huge step up from the last Mortal Kombat game. If I had to guess, I would say that dumping the 3D plane and locking the game to a strict 2D plane made this possible and there's a great amount of detail to be found in the graphics. Just like in the previous game, the characters' costumes get torn up over the course of a battle, resulting in bloody scrapes and cuts in the sides of faces, ripped clothes and so on. It's a great effect that looks even cooler when the fighters are also covered in blood at the end of the fight. It's pretty extreme and, well, pretty funny too. Mortal Kombat combines the novelty of extreme violence with a great fighting engine. My favorite moments with Mortal Kombat were always playing against friends, but I was disgusted by how unbalanced some of the single-player challenges are. Even still, Mortal Kombat is a great game. It’s not the most polished fighter out there, but it has a distinct flavor that will entice everyone.